SandForce's situation has shaken up the SSD industry quite a bit. The constant delays of SF3700 and acquisitions have kept everyone on their toes because many OEMs have relied solely on SandForce for their controllers. If you go back two years or so, nearly every OEM without their own controller technology was using SandForce's controllers. But in the last six months or so, we have seen a shift away from SandForce. Sure, many are still using SandForce and will continue to do so, but quite a few OEMs that used to be SandForce-only have started to include other controllers in their portfolio as well. This is logical. Relying on a single supplier poses a huge risk because if something happens to that company, your whole SSD business is in trouble. With the SF-2000 series the situation was totally different because the controller was on time for SATA 6Gbps and SandForce was a privately owned company; now the situation has changed. The SF3700 has been pushed back several times and the latest word is a Q4'14 release. In addition, SandForce has been acquired three times in the last three years: first in late 2011 by LSI, then Avago acquired LSI in Q4'13, and a few weeks ago Seagate announced that they will be acquiring LSI's Flash Components Division, a.k.a. the old SandForce. The first two acquisitions didn't have any major impact on SandForce (other than maybe added SF3700 delays), but the Seagate acquisition presents a substantial risk to SSD OEMs. Seagate has its own SSD business, so what if they decide to stop licensing the SandForce platform and keep the technology for their own exclusive use -- or at least delay the release to other companies? That is a risk that may come to pass, and from what I have heard we will hear something significant in the coming months. But a risk always has two sides: a negative and a positive one. Shifting away from SandForce opens the market for new suppliers, which adds new opportunities for the SSD OEMs. Moreover, new suppliers always means more competition, which is ultimately beneficial for the end users. We have already seen JMicron's plans and they are aggressively going after SandForce's current and ex-customers, but there is another company that has been laying low and is now looking to make a comeback. That company is Silicon Motion, or SMI as they are often called within the industry. Silicon Motion has been in the SSD industry for years but this is the first time an SSD with one of their controllers has found its way into our test lab. 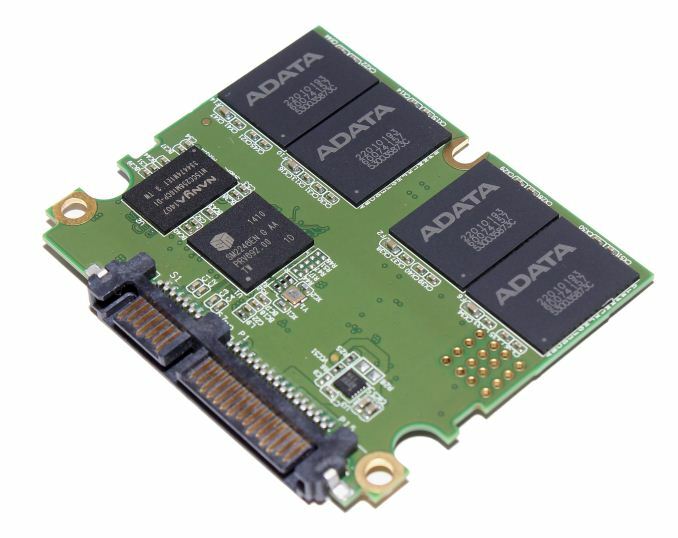 Silicon Motion's controllers have had more presence in the industrial SSD market, which would explain why we haven't seen its controllers before. With the SM2246EN, Silicon Motion is entering the consumer market and they already have a handful of partners. ADATA's Premier SP610, which we are reviewing today, is one of them, but Corsair's Force LX and PNY's Optima also use the same controller (although PNY is playing dirty and using SandForce controllers in the Optima as well). The SM2246EN is a 4-channel design and features a single-core 32-bit ARC (Argonaut RISC Core) CPU. The benefit of ARC is that it is configurable and the client can design the CPU to fit the task, for example by adding extra instructions and registers. Generally the result is a more efficient design because the CPU has been designed specifically for the task at hand instead of being an all around solution like the most ARM cores are. In the end, the CPU will only be processing a limited set of tasks set by the firmware, so a specialized CPU can work well. Each channel can talk to up to eight dies at the same time. Silicon Motion does not list any maximum capacity for the controller but with Micron's 128Gbit 20nm MLC NAND ADATA has been able to achieve a one terabyte capacity. That is in fact sixteen NAND dies per channel but the magic lies in the fact that the controller can talk to more than eight dies per channel, just not at the same time. Each NAND package has a certain amount of Chip Enablers, or CEs, that defines the number of dies that can be accessed simultaneously, but the number of CEs is usually lower than the number of dies, especially when dealing with packages with more than four dies. Encryption support, including TCG Opal, is present at the hardware level. DevSleep is also supported, although ADATA told me that neither encryption nor DevSleep is supported in the SP610 at the moment. Encryption support (AES-256 and TCG Opal 2.0) is coming through a firmware update in Q3'14, though. IEEE-1667 won't be supported so Microsoft's eDrive is out of the question, unfrotunately, but TCG Opal 2.0 alone is sufficient if you use a third party software for encryption (e.g. Wave). ADATA has always been gracious with the bundled software and peripherals. The retail package of the SP610 includes a 3.5" desktop adapter as well as a 9.5mm spacer for laptops that use 9.5mm hard drives. For cloning the existing drive ADATA includes Acronis True Image HD, which in my experience is one of the most convenient tools for OS cloning. The SP610 comes in a variety of capacities ranging from 128GB to up to 1TB (1024GB but marketed as 1TB). Like many SSD OEMs, ADATA buys NAND in wafers and does the binning and packaging on their own. I always thought the reason behind this was lower cost but ADATA told me that the cost is actually about the same as buying pre-packaged NAND straight from Micron. However, by doing the packaging ADATA can utilize special packages that go into some industrial and embedded solutions, which are not offered by Micron or other NAND manufacturers. There are four NAND packages on each side of the PCB, which means that we are dealing with dual-die packages at 256GB and quad-die packages at 512GB. ADATA does not provide any certain endurance rating for the SP610 but since we are dealing with MLC NAND, there should be no concerns regarding the durability of the drive. The PCB is about half the size of a normal PCB in a 2.5" SSD. This is not the first time we've seen a smaller PCB as several OEMs have used it as a method to cut costs. I doubt the cost savings are big but any and all savings are welcome given the tight competition in the market. It would be interesting to see the 1TB offering as well, to see if the internal layout has been modified at all. 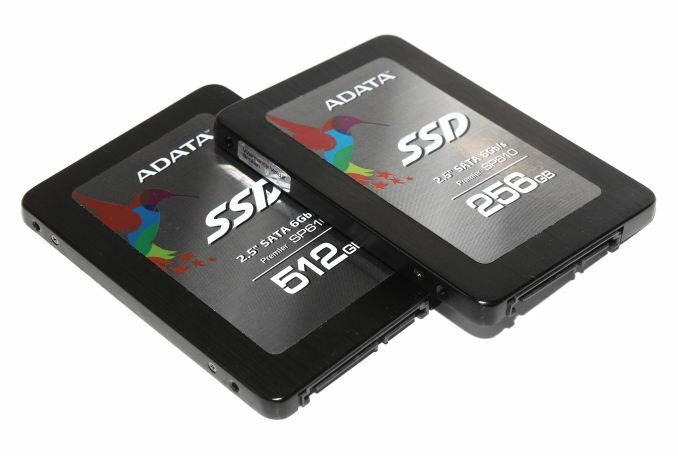 I can find the evo 840 250GB at the same price with that adata sp610, should I go with the later since it is bundled with the 3.5" case?